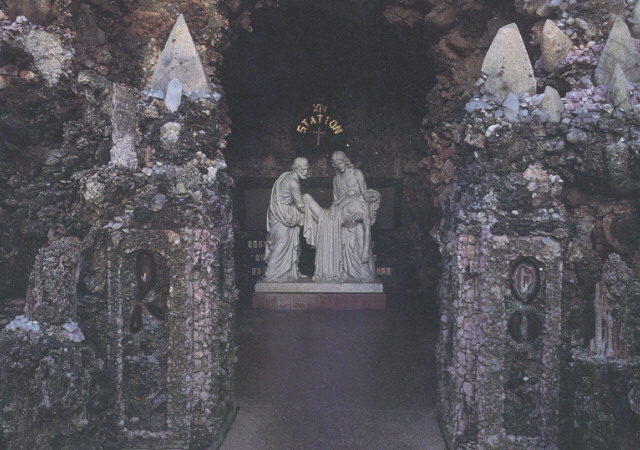 Father Paul Dobberstein started construction on the grotto in 1912 and it is now the largest grotto in the world. It is a composite of nine separate grottoes, each portraying a scene in the life of Christ in his work of redeeming the world. The grotto represents the largest collection of minerals, fossils, shells and petrification concentrated in any one spot in the world. 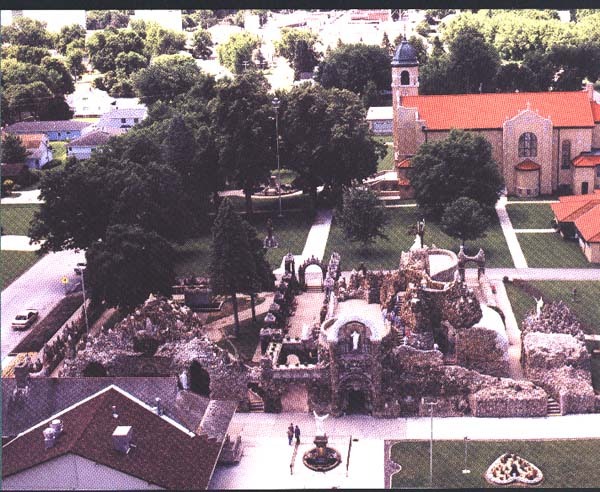 Visit also, "Trinity Heights" in Sioux City, IA for prayer and meditation. Use the link at the bottom of this page.